We’re back at it again; GameMax has sent me another wonderful product to review, and I’m over the moon with this one. It’s their Demolition Mid-Tower Tempered Glass Case. 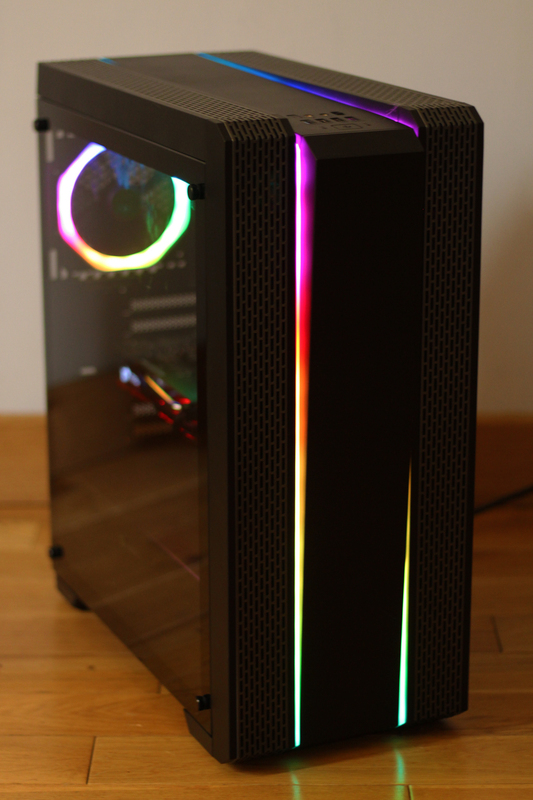 For a Mid-Tower, this thing is a behemoth! Not quite Full-Tower sized but it towers over its competitors. 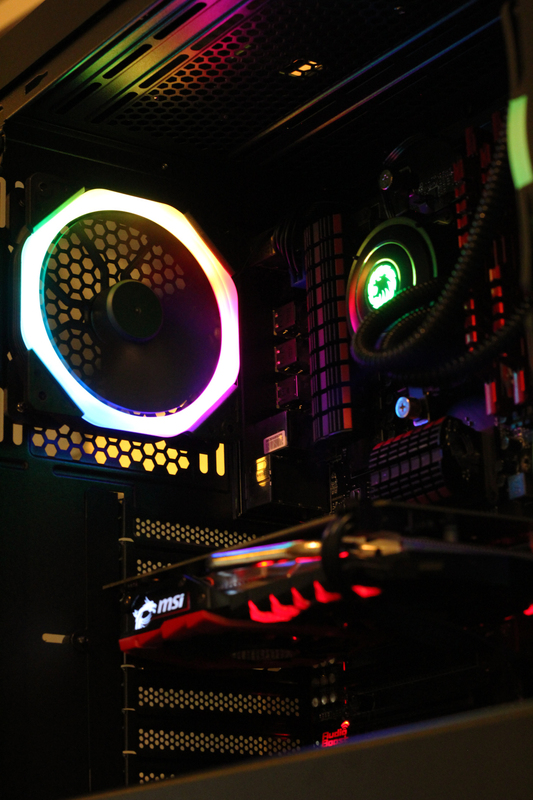 The case comes with a GameMax RGB 120mm fan at the rear, and 2 glorious RGB strips that run parallel not only on the front of the case; no, no, no, they seamlessly run over the top of the case as well! I’ve never owned or reviewed a case like it. 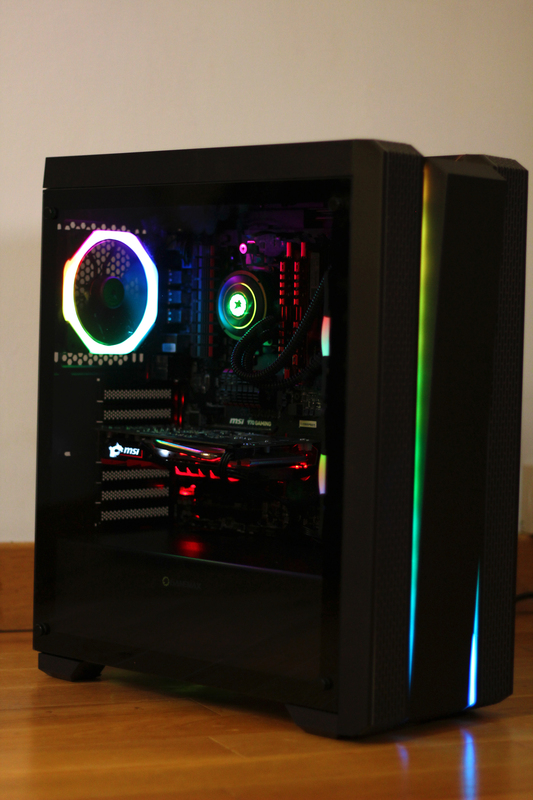 The RGB is controlled by a LED button on the IO ports that cycles all kinds of madness, every colour Strobing, Fading, Switching with another colour, and my personal favourite, Rainbow. If you cycle the Strobing mode on red, it gives KITT a run for its money (Knight Rider, Hasselhoff, talking car, has it all). The Demolition case includes a Tempered Glass side panel which we’ve come to expect (In a fantastic way) with GameMax, no flimsy acrylic here! Once the Tempered Glass side panel is removed, you’re spatially welcomed to the main compartment. I emphasise ‘spatially’, for a Mid-Tower the Demolition has a surprising amount of room for your hardware and watercooling. Beneath the main compartment is the PSU shroud that keeps all your cables tidy and houses the 2 3.5” hard drive bays and the Power Supply itself. The Power Supply fits nice and snug at the rear like standard form factors and comes with a magnetic dust filter underneath for easy cleaning and maintenance. The Demolition case comes nicely packaged, with custom cut polystyrene blocks either end to keep the case suspended in the box in case of accidents in shipping. I can see why it’s called Demolition; the case looks mean, like if I don’t build in it nicely it’s going to chew up my hardware and spit it out… this case has attitude! 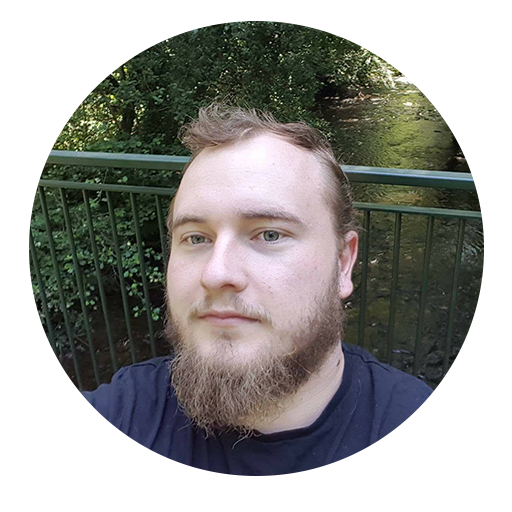 My first thoughts were the grills, running parallel from the front over the top, look like Tank tracks ready to crush anything in their path. Everything that’s required for all the compatible hardware. Here’s an overview of the Technical Specifications on the Demolition Case. For exact measurements, I advise you to check out GameMax’s official page for this case. Rear: 1 x 120mm (already included) or 1 x 140mm. First thing I’d like to say, to conclude this review, is that temperatures are not a problem whatsoever, with the whole front and top of the case having 2 giant parallel vents. I played a good 4-hour session on Vampyr in 3440 x 1440p and the temperatures were very stable. Even though this is a Mid-Tower case it doesn’t mean your space on the inside is lost as the Demolition features one of the largest main compartments for a Mid-Tower I’ve experienced; with easy installation and PSU shroud to hide your cables so it looks neat and show-worthy. 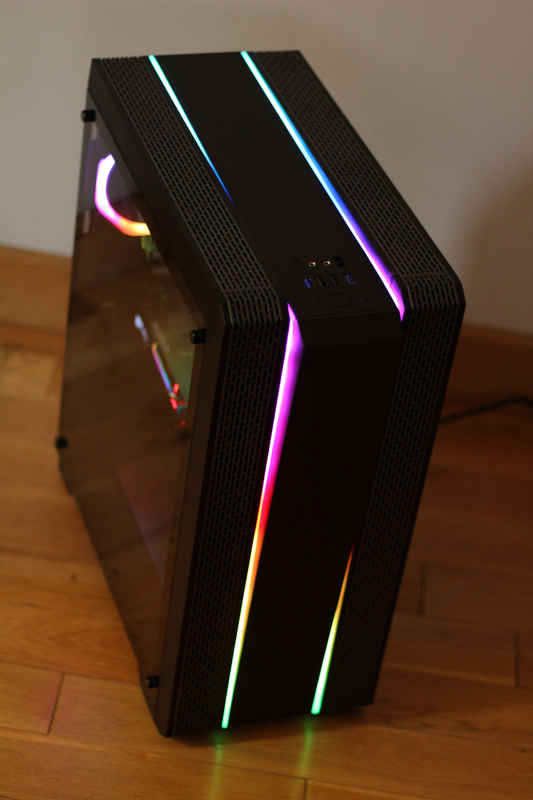 The Demolition features 4 RGB strips on the outside (2 front and 2 top) that flawlessly sync together to provide a rainbow river of colour over the case. The Tempered Glass side panel is a nice cherry on the top to provide a nice view of your kit, and the durability that comes along with Tempered Glass means it won’t scratch or scuff easy. 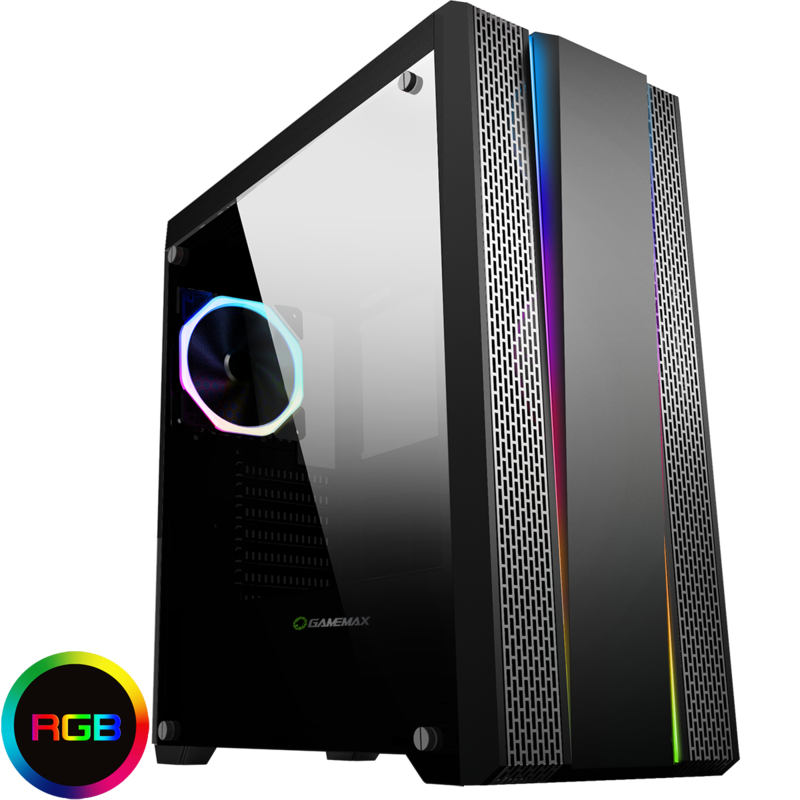 I personally recommend the Demolition Mid-Tower case from GameMax for PC building beginners and veterans who are looking for a case that really shows off their hardware, and also has attitude and RGB flare due to its ease to build into and with space for upgrades.